Street Fighter II was a pivotal moment in the game industry when it released in 1991, arguably acting as the catalyst that would bring the fighting genre into mainstream appeal. After that initial release, the game received approximately ten bazillion ports, and a special edition is naturally due out on the Switch next month. Ultra Street Fighter II: The Final Challengers certainly seems to be an excellent fit for the hybrid console, and Capcom has recently put out a video detailing all the features that one can expect out of the port. It seems there's a lot of fun to be had here with a deep character roster, several game modes, and plenty of fan service (like concept art and original graphics) to keep you engaged. It comes out on 26th May, and we'll be sure to weigh in with our thoughts in a review. What do you think? Will you be picking this up? How many times have you bought Street Fighter II? Share your thoughts in the comments below. I'll probably pick it up in the hopes of becoming the Ultra Switch Fighter too! To relive the glory days of the SNES I've actually preordered the Japanese version from Play Asia It's going to end up costing a chunk after import duty but not quite as much as the importers were charging back in the day ha haa. Gotta have that Japanese box art! I'll definitely get it eventually. Switch definitely has no shortage of retro fighters. Four excellent ones available right now with this, Pocket Rumble, and more of the Neo Geo fighters coming soon. 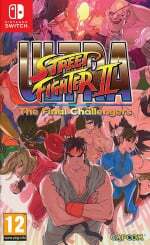 Huge SF fan here, but, knowing SFV is available elsewhere for under £20 makes this here USFII feel very archaic and redundant. Definitely passing on this. I'm likely a sucker (that's fine FG are my bread and butter) however I really liked the reasoning that Capcom gave for updating, balancing and porting Street Fighter II. I know a bunch of the hyper people (HD Remix is based on ST so I'm assuming this is an evolution of that) are bitter about the whole thing, but I am more than happy about the prospect of tech throws and supposed rebalancing. SFII is the series that the FGC keeps going back to. People may play III, VI and V but there is still a large market that goes back to II. There is a reason that they keep releasing II in some form every anniversary. I would love a port of III or VI (Not asking for V because Sony and it is what it is) in some form or another, but I am very, very ok with getting back down to brass tacks with II. I do hope that the Switch gets a number of current 2d fighters. I would love to rock out some guilty gear on the little titan. Thank god for that d-pad... oh, wait. I've never actually played SF II, so this'll be my first go! I might get it once the price drops. Even though I have SSFIIHDR on 360 and can't justify the RRP (though I've seen it lower) I've been obsessed with the idea of playing local matches SF in table top mode ever since the switch was announced. And frankly, any pretence of waiting disappeared the second I heard the theme. In the order that I got them back in the day: SF2T for SNES, SSF2T for MSDOS cdrom (incredible port), SF2SCE for SMD, SF2 for GB, SF Collection for Saturn, SF2 for SMS, SF2 for Turbo Express, SSF2T arcade cart for CPS2 cab, SF2 and SSF2 for SNES (2nd hand as a collector), SF2SCE plug & play, SF2T for Wii VC, SF2T for WiiU VC. So yeah, 13 times. If you included other SF games (Alpha series, III, IV, vs) we'd probably be past 50 times. I have also played the arcade roms in my MAME cab a whole lot too... And when I get my Switch I'll probably pick this version up too. I should have shares in Capcom by now lol. At the end of the day, it's still just a port of HD Remix. A better port that is, only reason I'm getting it is because there are no other new fighting games (other than the NeoGeo games) on the Switch yet. Definitely buying this as I've never actually owned it! Had SFII and Super SFII on SNES, my Xbox emulators, on Wii U, and now the Switch. Also bought SFIV for X360. 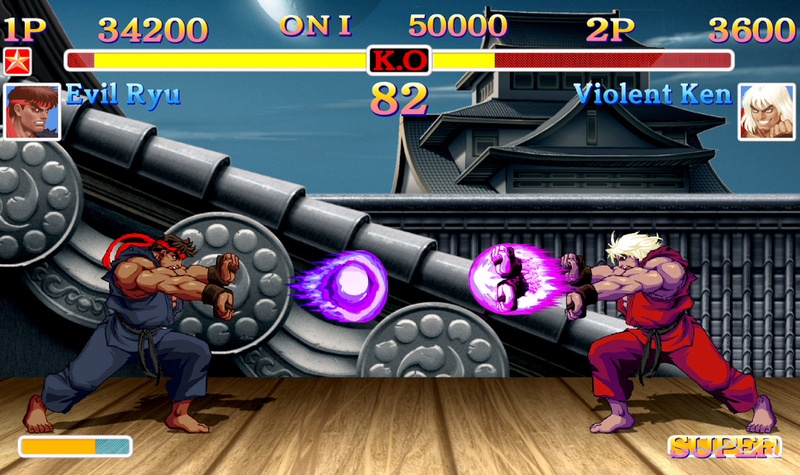 Street fighter II is still the best street fighter Capcom have made and this looks the best version. Street Fighter II was a Viral during 90's era. They should've remade Street Fighter Alpha 3 instead. @Slim1999 I'm as retro gamer as the next guy, but come on. If it were the Arcade versions of SFII, perhaps. Looks good, price still high. Not buying. Not sure why but I am gettin really excited for this game. I think playing 2 player SF2 wherever you are is the best selling point. I can't tell you how many hours my buddy and I spent at 7-11 playing this game in the early 90's. In my opinion that is worth the $39.99 tag. I'm a little less dismissive of the way of the hado mode. Looking at it like an arcade shooter it is a cute little romp with the SF skin. I'll give it a go when the game launches. @BezBot: "I have never ever played a Street Fighter game. I honestly don't know if I ever will. ... I'm not sure yet..."
I pretty much agree. I'm more of a Smash Bros. kind of guy. That said, there's obviously nothing wrong with liking various series, & games in a single genre, & across (different) genres. I'd have to play it first, to say whether, or not I like it enough to justify a purchase. @Capt_N Yeah and I'm at risk of not liking it, which is a lot for $39.99 if you don't know if it will be fun yet. @BezBot: I agree. That's why I said I'd have to play it first.